There's something so comforting about indulging in a Hot Chocolate, especially when the temperature drops outside. 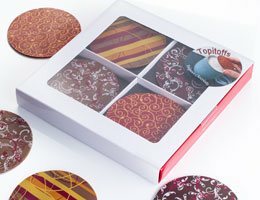 All of our Hot Chocolate gifts are made with real Belgian chocolate which melts when added to milk or milk substitute to provide a luxuriously smooth and tasty chocolatey drink. I'm sure I'm not the only one who's a fan of Hot Chocolate, but there's something extra special about using real Belgian milk or dark chocolate to make it. 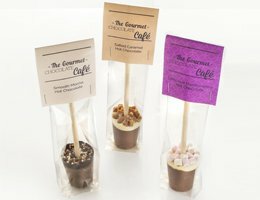 Our Belgian Hot Chocolate Sticks are a firm favourite amongst staff and customers alike, and now with four different flavours to choose from including our brand new Vegan-friendly dark hot chocolate stirrer, they offer a perfect pick-me up as we head into the new season. 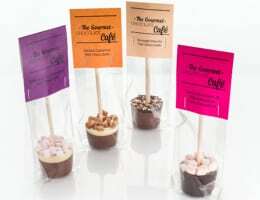 Other flavours in our stirrers include Salted Caramel, a belgian milk base topped with white chocolate and mini chunks of salted caramel fudge for that extra indulgent taste; Mocha - perfect for coffee lovers who still need a caffeine hit, this little chocolate stirrer combines smooth milk chocolate with dark chocolate and freeze dried coffee, and finally our Marshmallow Hot Chocolate Stick, afterall who doesn't love a hot chocolate topped with mini marshmallows? 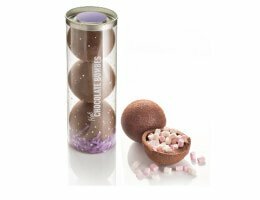 Last, but certainly not least, let me introduce you to our Hot Chocolate Bombes. 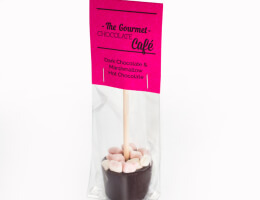 Simply pop them into a mug and pour over hot milk to watch them melt and reveal the hidden mini marshmallows inside. 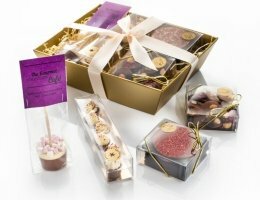 A great fun gift to give and even better to receive, who said hot chocolate gifts had to be boring?